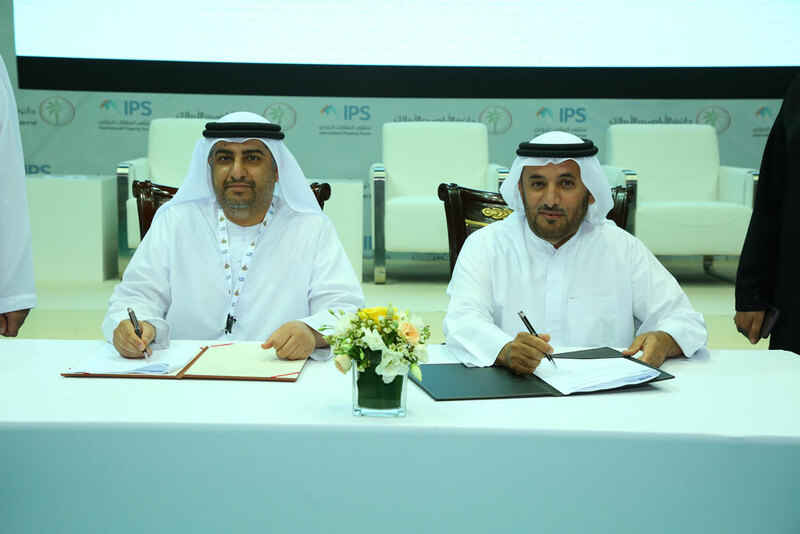 Dubai, United Arab Emirates; 28 March 2019: During the last day of the Dubai Property Festival, the DLD and the DIFC Courts signed a cooperation agreement. The agreement was signed by HE Sultan Butti bin Mejren, Director General of DLD and HE Justice Omar Juma Mohammad Al Fujair Al Muhairi, Deputy Chief Justice of the DIFC Courts, in the presence of HE Justice Ali Al Madhani, Nassir Al Nasser and Ahmed Al Kamali of the DIFC Courts, and Majida Ali Rashid, CEO of Real Estate Investment Management and Promotion Sector, DLD. The agreement aims to promote cooperation and mutual promotion to ensure customer happiness and consolidate confidence in Dubai’s real estate sector by providing a unique and balanced investment environment, as well as joint work to improve the performance of operations and simplify procedures, developing and improving customer service and maintaining communication between the two parties to achieve common interests in Dubai. The DLD and the DIFC Courts will focus on exchanging knowledge, experiences at all levels, exchanging ideas, studies, and researches related to the parties’ competence and field of work, as well as continuous coordination, benefiting from their acquired experience and in organising joint meetings, seminars, and conferences. The DIFC Courts will work to ensure that it’s public service offerings through the Wills Service Centre can complement and reinforce the overall service with the DLD to property purchasers.